Muslimgauze - Mullah Said. Vinyl LP. Bleep. 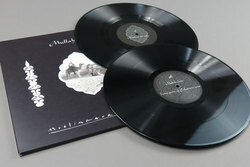 Gatekeepers of the Muslimgauze archive Staalplaat answer many a Muslimgauze fanatics' prayers and commit to wax one of the project's most hypnotic entities, Mullah Said. 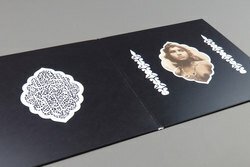 Following on from vinyl editions of the noise/techno Ali Zarin crossover and the junglist rewiring Uzbekistani Bizzare and Souk, which was heralded as one of our reissues of the year back in 2015. While the recent year's slew of Staalplaat Muslimgauze CDs have seen them shedding light on Bryn Jones ability to foresee and produce a seemingly endless well of material that provides a blueprint for the work of everyone from Arca and Rabit at their most grime to Vatican Shadow and Shackleton's slower, more detached movements. 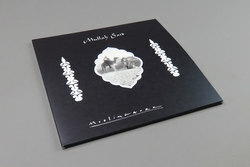 Originally released 20 years ago on CD, Mullah Said has long been a quiet favourite amongst the troves of Muslimgauze fanatics. 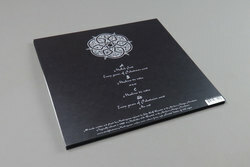 More mysterious than some of his more well-known material, the five tracks here offer a truly intoxicating arrangement of percussion, and found sounds make this one of the most engrossing transmissions of Muslimgauze middle eastern ambience to surface yet.